As a result of the lack of usefulness of the first build, I decided to build something that collects some serious data. Pictures, at waypoints, vertically. More comlicated than expected but again a good place to learn something. I included a raspberry pi in a later stage and connected it to the multiwii board with a serial connection. I needed to learn python to get some more versatile functions out of the copter which took a while. 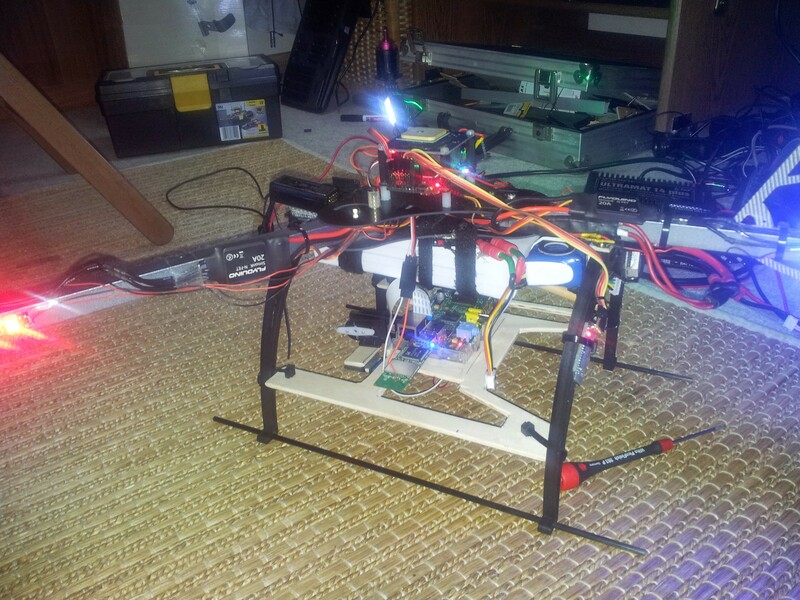 The flight time was 15 minutes as calculated with a 4s 5000 mAh lipo. The Multiwii Serial Protocol was hard to understand at first, so I had to learn the basics of a serial communication as well. The raspicam was triggered everytime the waypoint changed in the protocol. A simple python program listened to the waypoint message and triggered the cam accordingly. 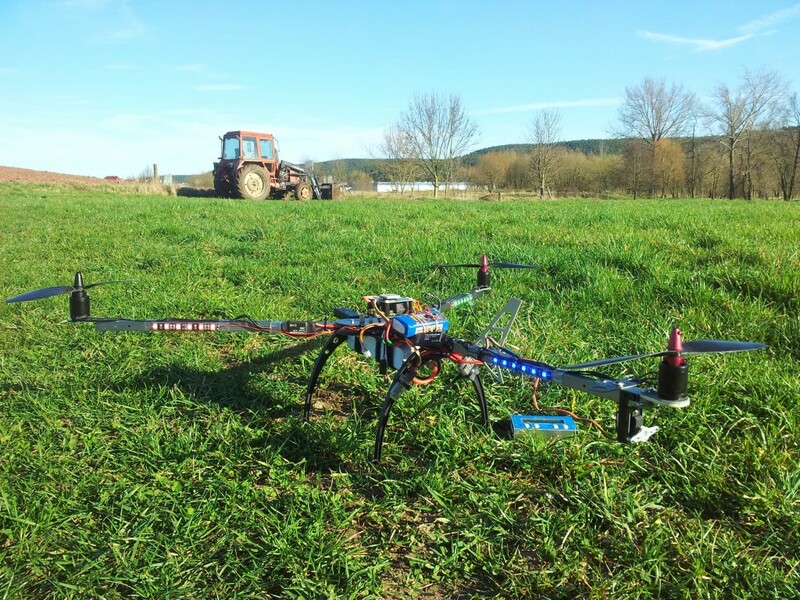 I wasn´t able to finish this project as I entered the commercial UAV market. Next steps would have been image stitching and index calculations etc. Thats why it had it´s name originally. Dieser Eintrag wurde veröffentlicht in Multirotor von bklronin. Permanenter Link des Eintrags.